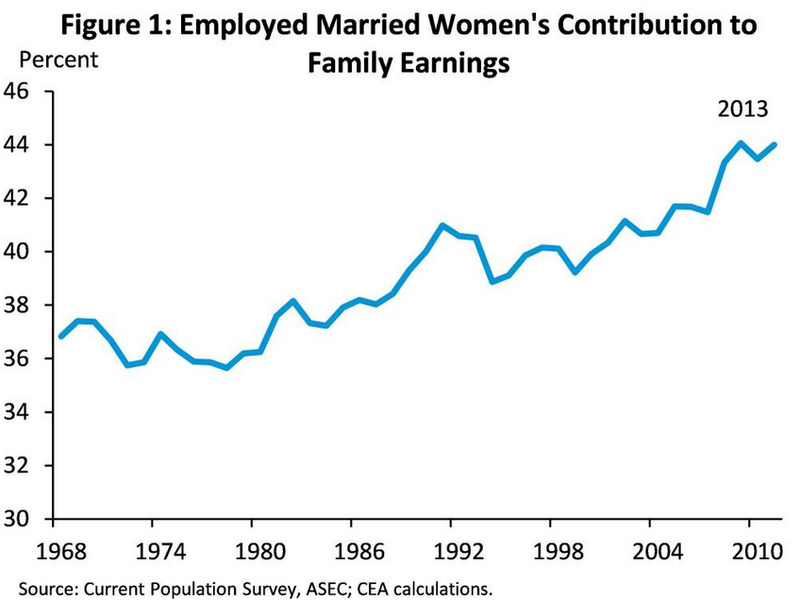 Married women are increasingly the breadwinners in their families, and are basically the only reason that median incomes in the US have risen at all in the last 45 years. 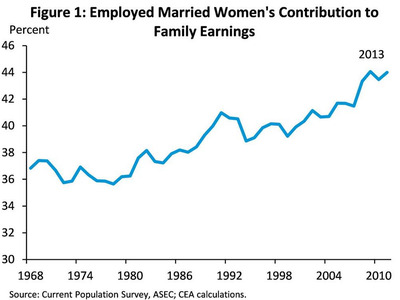 This chart is from Betsey Stevenson, an economist on President Obama’s Council of Economic Advisers. 44 per cent of their family’s income, up from 37 per cent of household income in 1970.